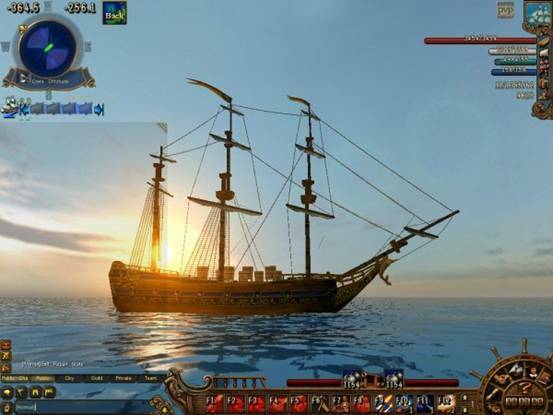 Voyage Century is not only about dazzling 3D graphics , Voyage Century Online has much more to offer. 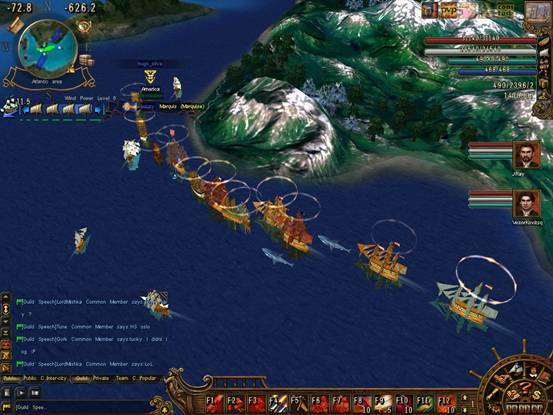 In Voyage Century, you will experience the shocking action of hundreds of warships slugging it out in real time! 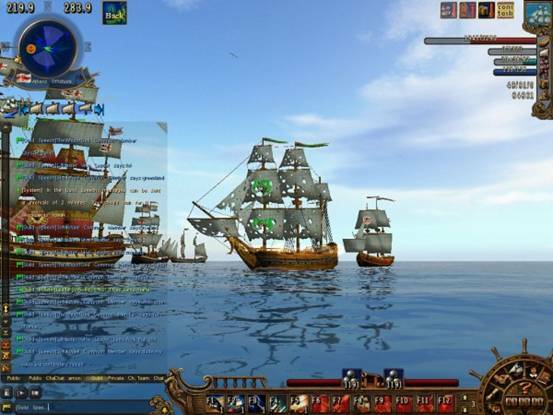 The beautiful graphics and perfect ocean waves represent the grand scenes of sea battle and bring you extraordinary experience, imagine you are standing on the deck or a grand warship,you can smell the gun smoke and feel the ship rocking as it fires salvo after salvo at the enemy. The combat tactics are all up to you! You can sit back and pound the enemy from afar with your grand cannons or get in close and try to board the enemy's ship for close combat action. Just like in real life, battles between countries, guilds and parties may just break out at any moment. Free trade on the High seas! With more than 160 kinds of authentic merchandises, Genuine Finance System is a great feature in the game. The prices fluctuate according to the change of the supply and demand, and the dynamic price system tests the players’ commercial mindset. The realistic shipping lanes and distribution of the merchandise represent the flourishing maritime trade of the 16th century and bring you in to the age of sail. Adventure and exploration is what sailing is all about. Experiencing the adventure of discovery, fighting against evil pirate scoundrels and cruel mother nature on the high sea will prove your competence as a captain that aspires to conquer the seas. More than 1000 kinds of quests and hidden treasure are waiting for you, which will fully satisfy your nigh endless curiosity. To explore the Pyramid of Ancient Egypt and search for the lost secrets of the Beirut Palace, this is a once in a life time chance! Voyage Century is not only a game, but also an encyclopedia that will broaden your knowledge in geography and history of 16th century. There are four different basic characters, whose appearance can be changed by your whim. There are almost endless choices of weapons and clothing. The most important factor in exploring the high seas is naturally the ship, which can be upgraded and changed in Voyage Century. In the game, there is an enormous selection of sequential missions. One receives these from the respective contacts, in addition, to the NPCs. 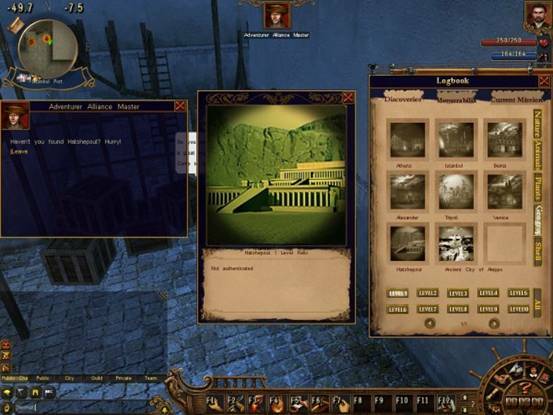 If a player successfully completes a mission, the player receives a reward in the form of cash or treasure, construction materials or draft sketches and a higher reputation.